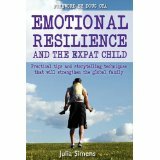 Last month, some of you Adventurers may recall that I wrote about Julia Simens’ insightful book Emotional Resilience and the Expat Child. While interviewing Julia I had asked a few questions about how she went about writing her book. As someone in the early throes of trying to write a book, I can tell you that it is a daunting process for a reason: it’s hard work. Even harder if you want it to be any good! I find it interesting to hear how authors approach their writing process because I wonder what the tools, tricks and tips are that work for them. Julia was kind enough to share some of her insights, and agreed that I might share them with you. Julia had been thinking about writing a book on emotional resilience in expat children and what it might look like for more than a decade. Satisfied with the type of book and a general sense of the structure, she spent another year conducting research of books and articles to collect what she wanted to put into the book. Nailing down the actual format of the book took some time. Julia had one concept in mind, but when she shared it with her publisher (Jo Parfitt, Summertime Publishing), it didn’t seem to work. Then she thought back to what the best-selling author of ‘The Seven Habits of Highly Effective People’ had written. The writing began in earnest, and Julia relied on slightly unusual tactic to find just the right ‘voice’. Since Emotional Resilience and the Expat Child is in part a workbook, there are exercises about identifying and dealing with emotions to fill out that correspond to the text. Julia wanted to make sure that busy parents could read the book one part at a time without it being overly repetitive. The end result is indeed a highly readable, family friendly book full of useful information and exercises to help parents develop and enhance the emotional resilience of their children and themselves. So what’s next for Julia? “More than a decade”? Geez, that’s commitment but so worth it to get the fabulous book that resulted from all that hard work. 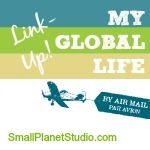 Thanks for sharing – always fascinating to see how others work! I agree. Both that the book was worth the thought and effort, and wanting to know how other writers write! Thank you UT. It sounds cliche (‘every book is unique’) but it’s true: each writer’s process is different. Those days when we find our voice and get into the zone are rarer than we’d like to admit. 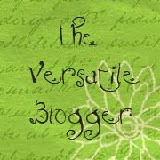 Looking forward to updates on your progress and ultimately, your book! An entire decade? That’s what I call dedication and stamina. I’m coursing through mine for a September deadline with Jo and I think I’m going to be thoroughly fed up with it by then! I’m putting down the bones of my own book so definitely agree, it is helpful to have an insight into how others approach this mammoth task.